It’s just over a year since I bought a chromebook. 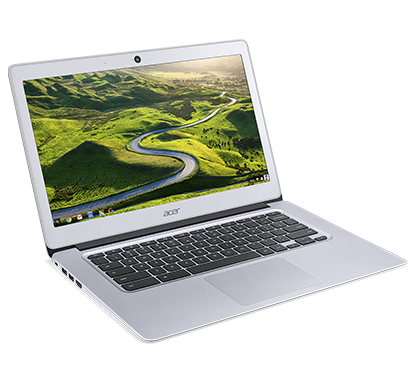 Acer’s CBS-431 (4GB RAM, 32GB storage model) to be precise. I bought it because my windows laptop had gotten very slow and was troublesome. I didn’t want to buy a cheap windows laptop and couldn’t afford an expensive one and had been wanting to try out a chromebook so I took the plunge. After a year, definitely wouldn’t go back to windows. Unlike my windows machines down through the years, my chromebook is now faster and more capable than when I first bought it. It’s very easy to use and set up. It was fine, definitely faster than my windows laptop but slow in some respects (Google Inbox was very slow at the time). Splashtop, which is my main tech support app, was only available as a chrome extension and while ok, wasn’t very good. It’s much faster, thanks to improvements in the OS and in online apps. Google inbox is very fast and much more user friendly now. Android apps have become available so I can use the Android Splashtop app which works well on the Chromebook. Only current issue is it only allows me one connection at a time. I think this might change in future when Android apps get multitasking support. Also I now can use the Microsoft RDP Android app. Update speeds, reboot and boots speeds are amazing. The release of the latest firmware update (for security purposes) required a powerwash of my system which is basically a completely wipe of my chromebook. I’ve had to do this in the past on windows laptops at was generally a day’s work between backing up everything, wiping and reinstalling windows, and installing all extra apps and drivers and then configuring the system the way I had it. The same procedure on my chromebook took (no exaggeration) 3 minutes, and everything was done for me automatically. I’ve since recommended it to a few people who purchased the same one as mine and everyone who bought it was very happy with it and had a lot of praise. Two of these people work in education, one is a student, and one owns his own business (and uses it as his main business device, he also bought chromebooks for his two children for their own business use).